Marrakech has always been high on our list of places we'd like to visit so a few years ago for hubby's birthday, we decided to visit (child free) for the weekend. I booked a package holiday as our budget was limited. Flights and an all inclusive hotel worked out a lot cheaper than booking everything independently. We did not use the all inclusive facilities of the hotel to their full but it was nice to know we had the option if needed. Our hotel was the Riu Tikida Palmierie which was located just outside of Marrakech. There were free shuttle buses into the centre and taxi's were very reasonable. The hotel was fantastic - it had a lovely luxurious feel which is what you need when you are having a weekend away without the kids! 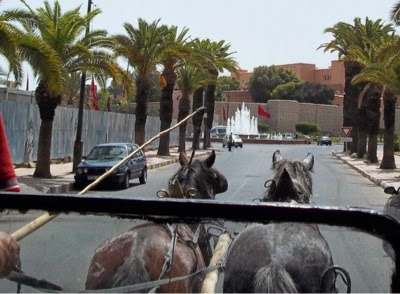 Arriving into Marrakech is like arriving in another world and was definitely a bit of a culture shock. My eyes were like saucers during our hotel transfer as men and children bathed in outdoor fountains, hundreds of people gathered outside numerous mosques dotted along our route to prey, donkeys pulled carts full of chickens and livestock (and several children were catching a lift) and there seemed to be a make shift fruit stall on every corner. The heat was intense and we could hear the call to prayer echo around the streets from the mosques. 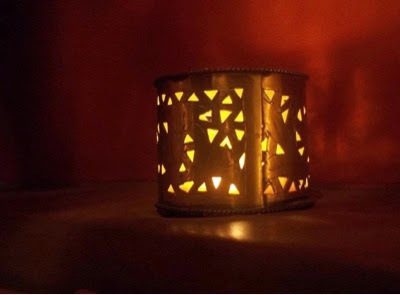 I couldn't wait for our Morrocan adventure to start! On our first day, we headed straight to the Majorelle Gardern for it opening. This garden is one of the most unique garden's I have ever wandered around. 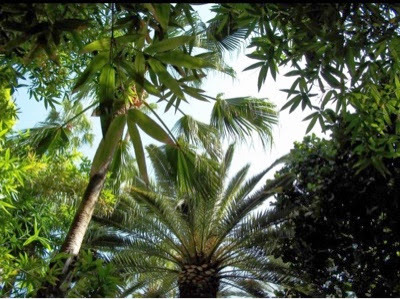 It was so tranquil and peaceful and some of the plants on display were truly stunning and unusual. 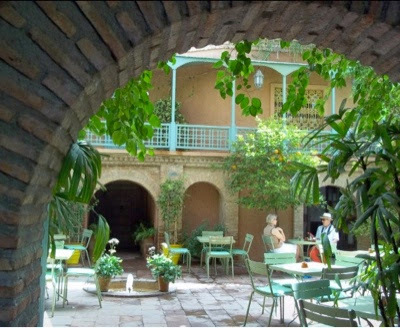 There is also a small museum included in your entrance fee and a stop off in the courtyard cafe is a must. The drinks prices are very expensive but there is no way I could visit the garden and not enjoy a glass of freshly squeezed orange juice whilst taking in the views. 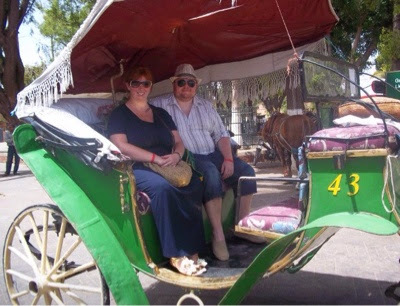 Feeling thoroughly relaxed we left the gardens and had already decided we were going to take a traditional horse and cart ride to the medina. We negotiated a deal (as is the norm) to about £50 for an hour which I thought was reasonable. I had heard stories about how you can be ripped off but we have to say our driver was lovely. He pointed out areas of interest and even took our photo for us. 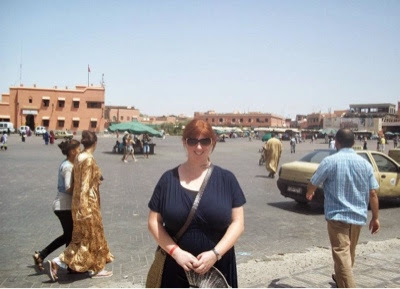 It was a fantastic way to gain some local knowledge and see some of the sights of Marrakech. We were dropped off next to Jemaa el Fnna which is the main square in Marrakech. It was July when we visited and the temperature was 50C! Our visit also coincided with Ramadan so we were mindful not to openly eat or drink in front of locals and made sure we were well covered up. The square is huge but is much quieter through the day than the evening (could be something to do with the heat). We browsed the stalls and avoided the snake charmers and monkey handlers! It is true what they say, they have crazy dentists in the square too selling second hand teeth! We did not get hassled or feel bothered at all. I had read about the henna tattoo women being pretty persistent but they didn't bother us at all. 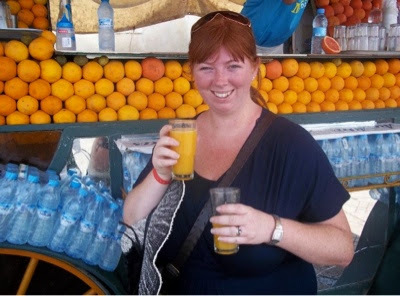 We loved the orange juice stalls and stopped for a drink before heading into the medina. 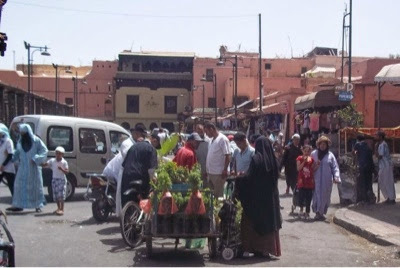 The medina is located just behind the main square and is a labyrinth of narrow streets all lined with colourful stalls. Everything is for sale here and you may get your eyes opened! Moroccan leather stalls sit next to live chickens for sale, bright jewels next to mis-shapen veg. There is probably nothing you couldn't buy from the medina. We did get lost a few times but found our way back to the main square with the help of a few locals (who by the way do expect a tip). You don't get pestered by stall holders and shop keepers but you do get harassed by boys trying to be your guide. If you don't require this service just ignore them and they soon get the message. By this point in the day we were sooooo hot and gladly headed back to our hotel to cool off for a few hours before heading out at night. 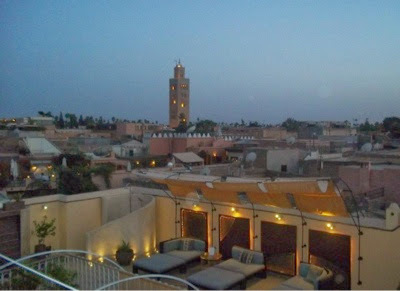 Marrakech by night is a completely different experience. We organised a taxi with our hotel and the same taxi waited for us all evening and took us back to the hotel when we were ready which was nice. 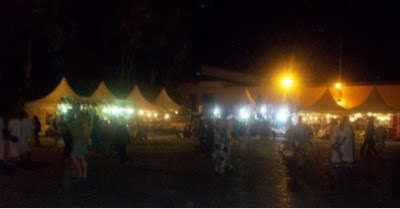 Jemaa el Fnna at night is just so busy and alive with activity. Crowds of people gather around traditional storytellers, snake charmers show off their skills and there are lines and lines of street food stalls for you to try. We wandered about for a bit and took a seat at a stall that took our fancy. The food wasn't the best we have ever sampled but that didn't matter. The atmosphere was just electric and it was lovely sitting back, enjoying Moroccan food and watching everything that was going on. The staff kept us entertained too. After a lovely long sleep we were ready for another days adventures. 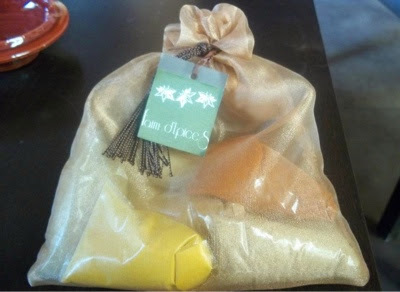 We had pre-booked a Morrocan cookery course at Faim d'Epices. This cost us 50E each and was money very well spent. It was one of the best value experience's we have ever enjoyed. Transport is included in the price and we were collected in an air conditioned mini bus on time which was fab. We collected another couple from the centre of Marrakech and were on our way. It took about 30 minutes to get to the beautiful rural farmhouse where the course was to be held. We received such a warm welcome from our host and enjoyed mint tea in the lounge whilst chatting and getting to know our fellow students. We were then introduced to our chef Nezha and were all led to our own well stocked cooking stations. We got to work cooking a traditional tagine in the traditional method. It was great to receive hands on advice on how to cook. I'm not a great chef but Nezha was very patient with me and gave me lots of hints and tips. We layered our tagine ingredients and put it on the stove where it was to cook for an hour or so. While our tagine was cooking, we stopped for more mint tea and were given a spice lesson. This was interactive and used all of our senses. We got the chance to smell, feel and taste the spices of Moroccan cuisine and learned about how they were produced. It was particularly interesting learning how saffron is produced, why it is so expensive and how you can tell if it's real! 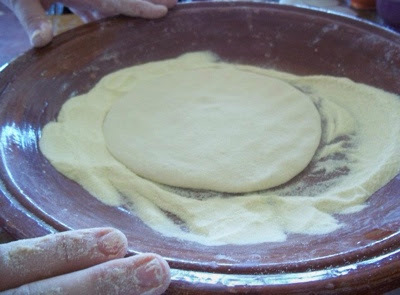 After our break it was back to the cooking and now we were to make Moroccan flat bread to accompany our cuisine. Nezha took us through the technique (boxing and stretching the dough) and we then cooked our bread in a pan. I have to say, I was very impressed that I made the bread with my own fair hands! It was delicious. 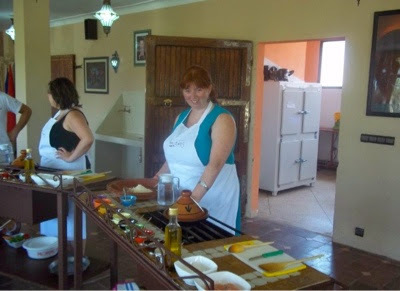 Nezha also demonstrated how to make some delicious Moroccan salads. I loved the flavour combination of the mint and orange salad, it was delicious. 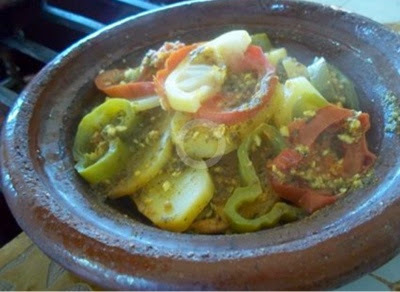 Our tagines were ready and we all sat down together to enjoy our tagines along with our bread and salads. Wine was even included! It was a fantastic end to the day and we enjoyed chatting to other students about what they had got up to whilst in Marrakech. You are presented with a scroll certificate, a collection of recipes and a selection of Moroccan spices to take home which is a lovely touch and way to end the day. 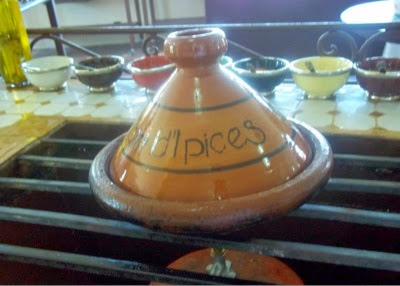 You can also buy tagines direct from the farm (which we did) at a reasonable price. Our driver collected us at approximately 4pm and took us back to our hotel. 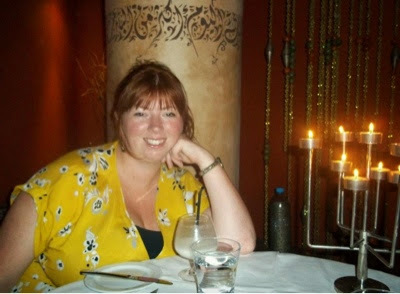 On our final evening in Marrakech we reserved a table at Gastro MK which is a restaurant situated in a fabulous riad in the heart of the city. 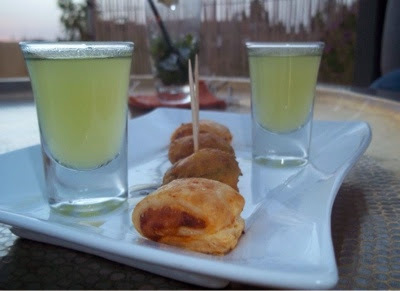 It continuously tops polls of the best place to eat in Marrakech and we could not turn down an opportunity like this. They offer a set menu in the evening, it has changed slightly since we visited, you can view current menus here. With detailed directions provided by the riad we managed to find our way. If we ever stay in Marrakech again, I'm pretty sure we will stay here. The whole place is beautifully decorated with a decadent feel - the plunge pool on the ground floor looked amazing! 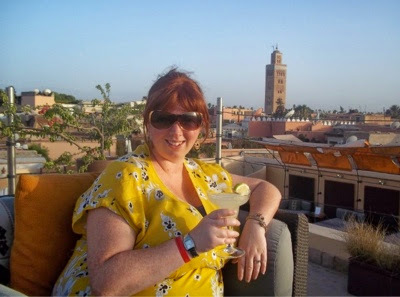 We were escorted upstairs to the riad's roof terrace where we enjoyed cocktails and canapés overlooking the whole of the city. The sun was just starting to set and we heard the call to prayer from the nearby mosques. It was such an experience to see the city going from buzzing and noisy to deathly quiet as everybody went indoors to break their fast. Then we watched hundreds of Moroccan men in their traditional robes meandering the narrow streets of Marrakech and heading towards their mosques to pray. It was an unforgettable experience to watch and just so memorable! We enjoyed fantastic views of the Koutoubia Mosque in the sunset as well. When dinner was ready to be served we were escorted to a private poolside dining area which was candle lit and draped with lovely Moroccan fabrics. It was all very romantic. 5 flawless courses of modern Moroccan cuisine were served and we were mostly left to enjoy our food in peace. At the end of the meal, the chef popped over for a little chat to tell us a little more about the dishes and to check everything was ok which is a nice little touch. This meal was probably the most romantic meal we have ever enjoyed together. The service and wonderful surroundings really made it for us. 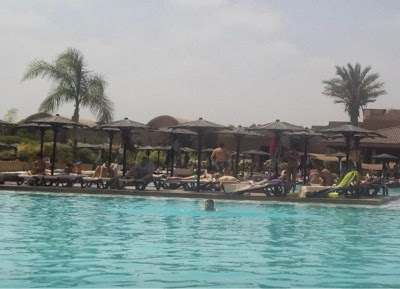 On our last morning in Marrakech we headed to the hotel pool to relax for a few hours. With 3 children, it is not often you get the chance to chill out on a sun lounger and we wanted to make the most of the Moroccan sunshine before leaving. Marrakech has been the best city we have ever visited. We did not once feel threatened or unsafe and in fact everyone we met was courteous and friendly. 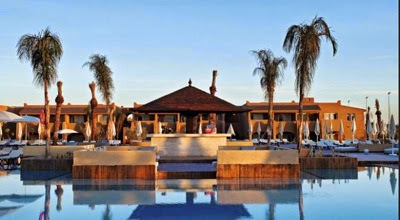 I would not hesitate to take our children to Marrakech (love the look of these luxury family friendly hotels available from Tots Too) and this is now high on our list of future travel plans. There is so much to do, explore and enjoy in Marrakech and it really is a city for people who love to explore other cultures. We crammed as much as we could into our weekend but there are still things I would love to try (some of the spa's sound fabulous). We can't wait to return soon. It sounds like such a wonderful place! The photos you've posted here make it look so beautiful and relaxing. I'd love to go there one day, if only for the food! Thanks Donna - it's a wonderful place. I haven't been anywhere like it! This looks amazing Samantha! Somewhere I've often thought about going to but still haven't got around to it.